The preschool is open Monday to Friday all year round except between Christmas and New Year. Days required during school holiday times must be pre-booked. We run 3-hour sessions daily from 9am to midday, and 1pm to 4pm (except Mondays). We also have a daily lunch club from midday to 1pm so children can stay with us all day. Children can be collected from the afternoon session at 3pm to tie in with the collection of siblings from local schools. We also offer flexible drop off times between 8.30am and 9am, and flexible pick up times from 4pm to 5pm. On Monday afternoons we offer a Stay & Play session from 1.30pm to 3pm, open to all local families. 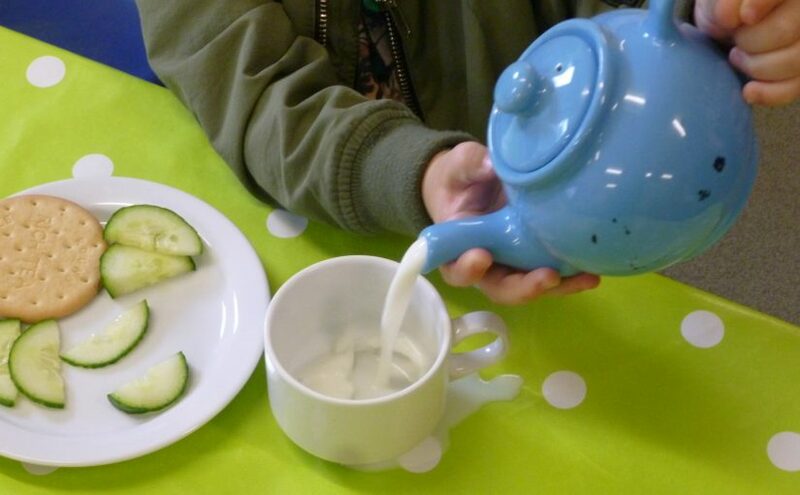 During each morning and afternoon session we offer healthy snacks, milk and water at our snack bar, which is freely open to the children to access for a period of one hour. We end each session with circle time and story time. Lunch club is a social time for the children to sit and eat their lunch together. Children can bring their own packed lunch, or we can offer hot meals at an additional cost, provided by the Bishop William Ward School. In every session, the children will have opportunities to engage in a variety of different types of free play both inside and in the garden area. We encourage and support all types of play within the setting, including role play and imaginative play, physical play, creative play, investigative play and social play. We seek to provide opportunities for structured and unstructured play which extends across all curriculum areas, harnessing the child’s natural curiosity and desire to learn and come to an understanding of the world. At Tiddlywinks Preschool we aim to have the development and wellbeing of all our children at the heart of our “playing” day.